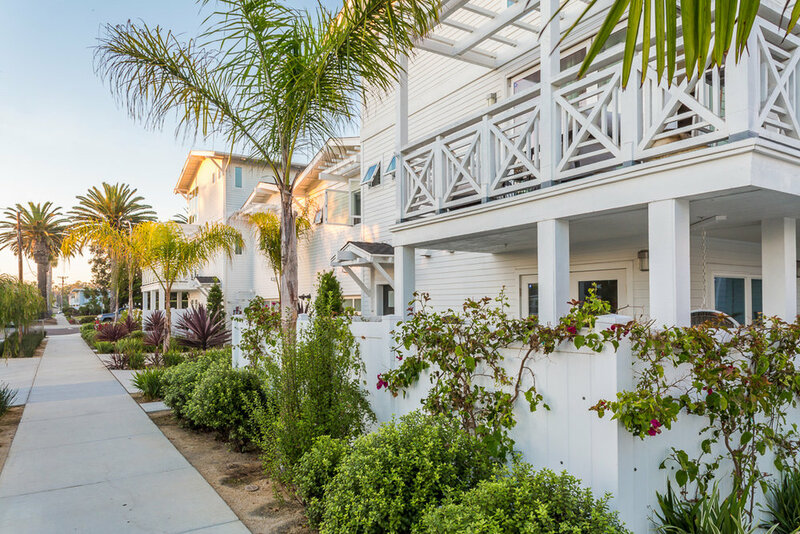 The Row Home community, within walking distance from the ocean, was designed to be contemporary in style with elements reminiscent of the “beach cottage” vernacular that includes white lapped siding, white trim, white trellises, white picket fences and gray standing seam roofs. The layering of forms and materials is carried out via the varied massing of wood siding and roof planes; with the outdoor spaces defined with lace trellises and arbors to control the solar conditions. 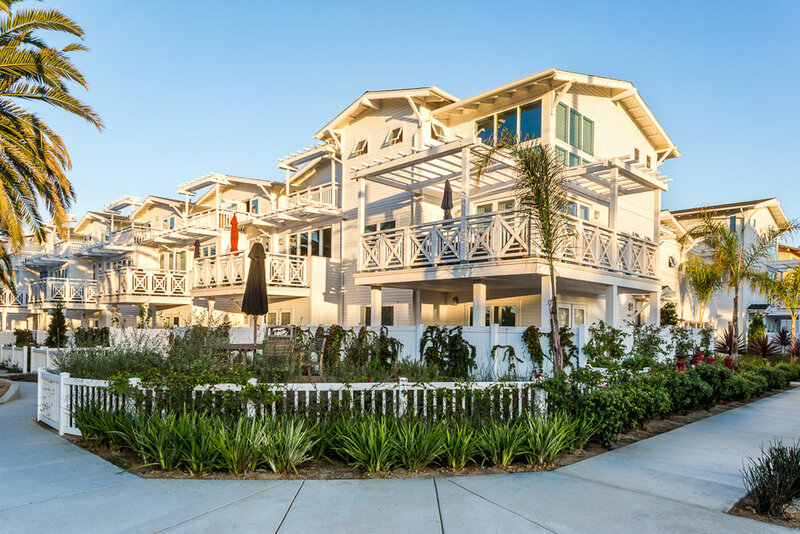 The three story loft living spaces, over enclosed garages, open out to terraces with ocean views. The design challenge was two-fold; to work within the constraints of the beach community guidelines that included restrictive height limits and to find a creative solution in which to offer ocean views. Built with conscious thought in mind, the project uses sustainable building strategies consisting of photo-voltaic roof panels, high efficiency equipment and appliances, and low-E tinted glass. Due to continued drought conditions facing the area, the private front yards will be planted with drought tolerant, indigenous coastal plants, irrigated by a subsurface drip soaking system that will reduce water usage by 50% over normal applications; and the vehicular paving was designed to recharge stormwater and nuisance water back into the local ground plane.